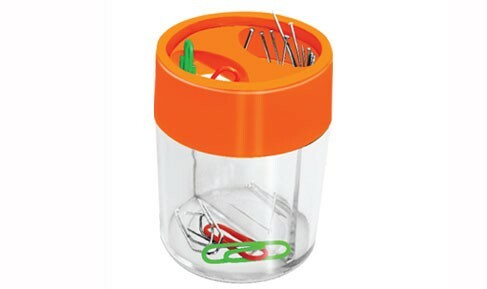 Helps keep loose paper clips,staple pins all in one place. Comes with 2 compartments to keep your pins separately. Colourful plastic top with transparent base. Magnetic top for quick dispensing.